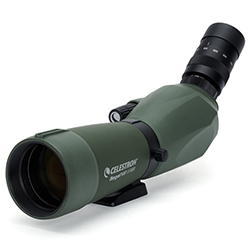 The Celestron 82001 has a fixed magnification with 60° wide viewing angle and twist-up eyecup that allows you to easily see the entire field of view with or without eyewear and makes tracking of subjects faster. 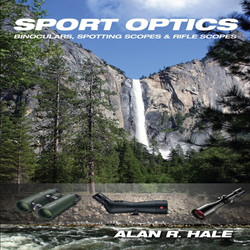 This eyepiece uses XLT fully multi-coated optics that increases light transmission through the optical path for brighter images, better contrast and increased resolution. It is compatible with any spotting scopes, telescope and other optical instruments that have a 1.25” eyepiece mount. The wide angle eyepiece is fully waterproof which is suitable for use in all climates and weather conditions and the housing is also filled with dry nitrogen gas to prevent the internal lenses from fogging when moving between extreme temperatures or using the eyepiece in damp conditions. 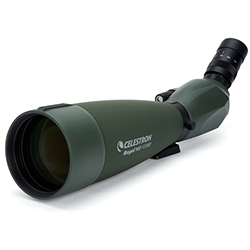 The Celestron Wide Angle, Regal M2 Eyepiece has many exciting features for users of all types. 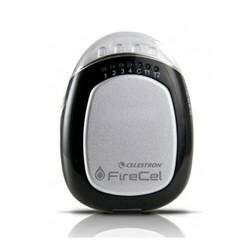 FactoryOutletStore stocks a full line of accessories like Celestron LensPen - Optics Cleaning Tool, Firecel Portable Charger / Light, and Regal M2 100ED Spotting Scope for the Celestron Wide Angle, Regal M2 Eyepiece. 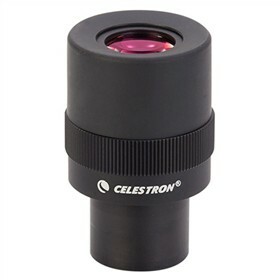 The Celestron Wide Angle, Regal M2 Eyepiece is sold as a Brand New Unopened Item.